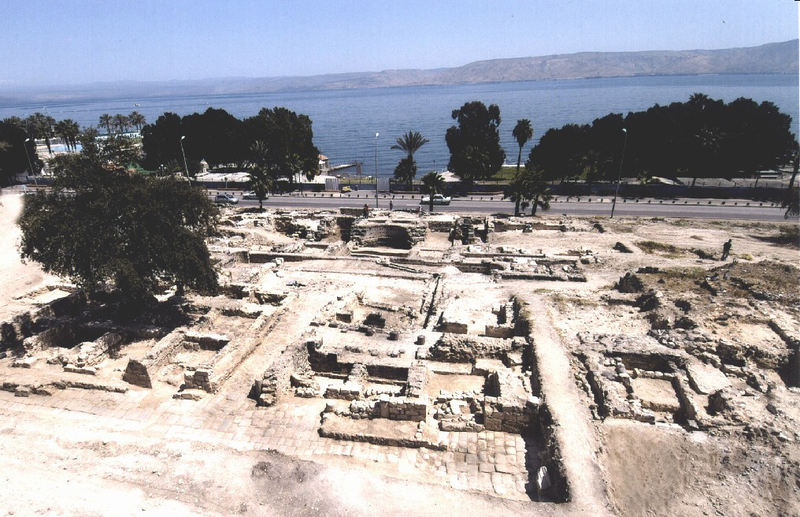 The ancient Israeli city of Tiberias, built by Herod Antipas in 1 A.D. in honor of the Roman Emperor Tiberius, will be the site of a new archaeological park, says the Israel Antiquities Authority. visitors will arrive in a large entrance area that will include a visitor’s center, recreation facilities for children etc. They will pass the stone walls of the Byzantine city or go by way of the southern gate of the Roman city, which was magnificently preserved including both of its towers. The visitors will continue on along the cardo, which is the main street that is paved with stone tiles and that leads from the gate to the Roman city (and to cities of later periods). They will enter a “green area” of lawns and flora characteristic of the Land of Israel that will include a network of paths which will conform to the geometry and the material appearance of the Roman city. The paths will be suitable for those on foot, the handicapped and baby strollers and will reach the assembly center – the “amphilawn”– which will contain thousands of seats and is intended for public events (which Tiberias currently lacks) where musical performances, shows etc will take place outdoors. The main cardo will continue further north through green areas to the bathhouse which visitors can go into and on toward the basilica. Archaeological artifacts that were discovered in excavations that were conducted in Tiberias in the past, among them stone columns and capitals, ancient agricultural installations etc, will be incorporated the length of the cardo. I like the idea of incorporating the antique city into a public multi-use space, but I can’t help but be concerned about the new construction damaging an archaeological site of such great importance. Not to mention the potential damage thousands of tourists tramping about, enjoying the cafeteria goods and loud music. In Rome, the Baths of Caracalla were used to stage summer operas and concerts (remember the first Three Tenors concert back in 1990?) for many a decade, but eventually the city stopped the practice because the noise and crowds caused structural damage to the ruins. I’m not the only one concerned. The late Prof. Yizhar Hirschfeld, Director of the Tiberias excavation for many years, objected to the plan when it was first proposed in 2005.